or a cold “Weissbier” in our beergarden while sitting under large trees . .
. . . this is a feeling of holidays! funny specials for your kids. And of course our vegetarian meals. There is something available for everybody! 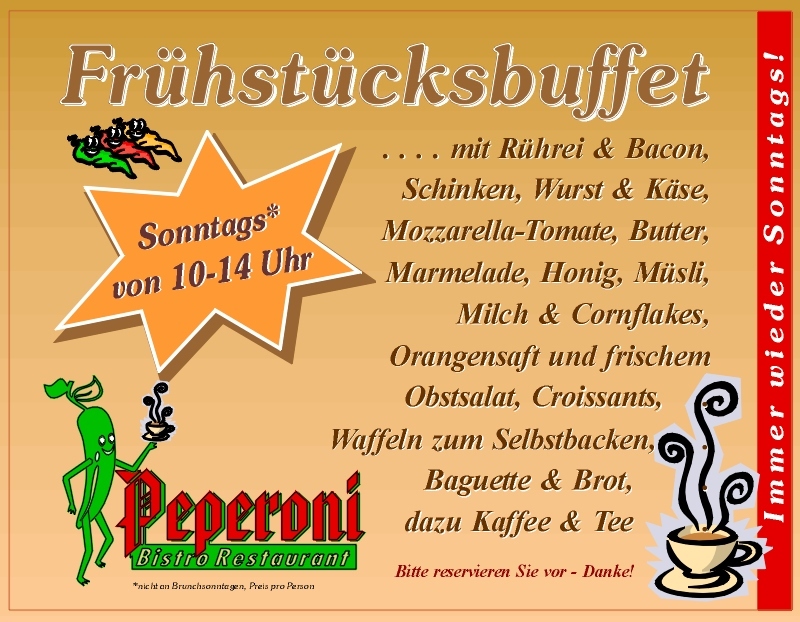 we have our breakfast-buffet starting at 10 am. And on specail dates the brunch from 11-14 pm. can you watch live on TV in the Bistro Peperoni. Hasta la vista in the Peperoni!